I finished up the interior tool holding today on the DTC. Here’s a picture of how its coming along. I’m gluing on the front pieces without nailing because I’m going to paint first then add the nails. I’m a pretty decent nailer (I sided my whole house, so I’ve had lots of practice with small nails) so hopefully I won’t mess the finish up too much. I’ll use screws for the hinges and some of the tool racks, but nails for the rest. 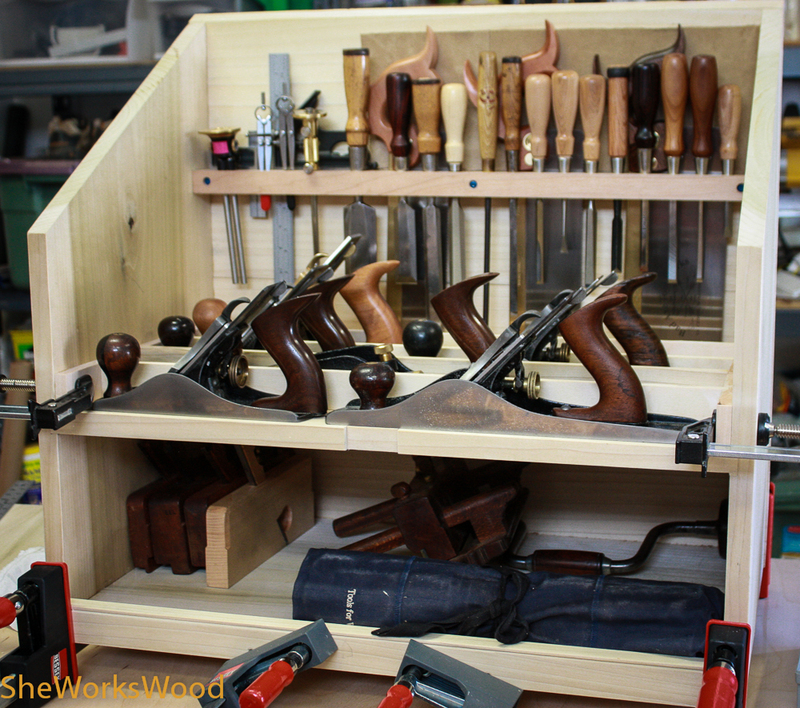 This entry was posted in dividers, Dutch Tool Chest, storage and tagged dutch tool chest. Bookmark the permalink. Looks nice. Have decided how to finish it? Since yours is moving along at such a pace, can you whip me up one in your spare time? It is nice to have a project that goes a bit more quickly.